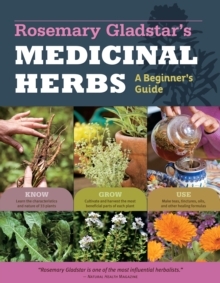 Rosemary Gladstar is the mother of modern herbalism. 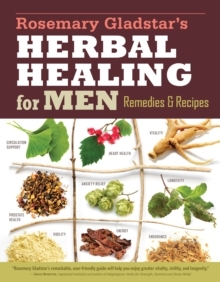 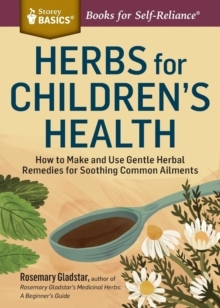 Her wisdom and vision have inspired an entire generation of herbal healers, and her insights into the healing power of plants have helped people everywhere embrace more natural, healthy, and radiant lives.The bulk of the book is dedicated to specific herbal remedies for everyone in the family - adults, babies, children, and elders. 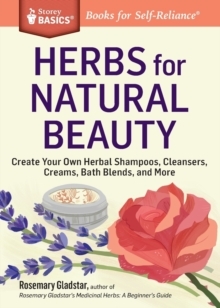 Good Vision No-Cook Herbal Jam, for example, will help keep aging eyes functional, while Rosemary's Itch Relief Remedy offers a soothing salve for poison ivy. 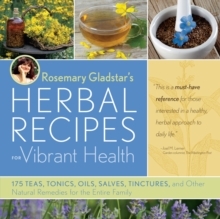 Whether a reader wants to soothe baby's diaper rash, enjoy a better night's sleep, conquer headaches, cure a case of athlete's foot, or boost a sagging spirit, Gladstar's time-tested herbal remedies offer new options for natural healing.These therapies are enhanced with an A - Z herbal apothecary featuring detailed information about more than 90 herbs, as well as tips for preparing herbal remedies from scratch.